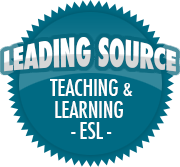 Middle School Students | So, You Think You Can Teach ESL? It’s that time of year again, politics dominates the news, tensions and emotions run high, and people tend to get angry at each other. Politics is a hard topic to teach because it’s quite complex, yet it’s very important to life. There are plenty of social issues you can tie-in with each lesson (if you’re teaching a whole unit). The best place to start teaching about politics, is first teaching about government, and how it works. Keep it basic. Here are two great videos to introduce the concept of government. Five activities to bring politics and government into the classroom! Do an article report! – Use any major news outlet (BBC, CNN, MSNBC, FOX News, Etc. ), and find an article discussing a candidate or political issue. Times for Kids may also have some interesting and age-appropriate articles for students. You may also use local newspapers or news media to cover less-dense/complicated issues that national news sources typically cover. Hold a debate! – Politics is full debate. Whether the topic is over environmental issues, education reform, social issues, healthcare…there’s always something to discuss. Split the class up into two teams with equal members (if possible), choose a topic relevant to students, and have each team write down three to four (or five) reasons supporting their argument (and provide examples). You, as the teacher, should moderate. This activity is best meant for intermediate to advanced students. Have your own class election. – If you teach a large class, even a medium-sized one, hold your own class election. Choose three to four students to run as candidates, and have them prepare speeches on why their classmates should vote for them. They can give opinions on how to improve their classroom, school, or community. The results don’t have to mean anything, but the activity gives students the chance to experience voting in an election. “If I were President.” – Teach the subjunctive mood and conditionals using this activity. You can target critical thinking skills, writing skills, and creativity, by having students write about what they would do as the President of their country. You can have each student share what they wrote with the class in the form of a speech to get some speaking practice in, too. Group Presentations – This last activity is a group activity. Have each group pick a candidate and do light research on him/her. Write a short bio, and share the candidate’s opinions on major issues concerning social issues, domestic and foreign policy, and one interesting fact about that person. After they’ve completed their research, have them make a poster with their info and a profile pic of their chosen candidate. This activity should be done over two to three class periods (if there’s time). Once each group has finished making their poster, they can present it to the class. For more ideas and activities, go here and here.